Special thanks to Book Blogger, Tania over at Life According to Tania for review #2: ⭐️️⭐️️⭐️️⭐️️⭐️️ If you’ve written a book, go check out her blog and guidelines. She squeezed my genre in, so I especially appreciate this review. I know no one expected me to be back again, so soon. But I am and I have another book lined up to review (along with plenty more!). 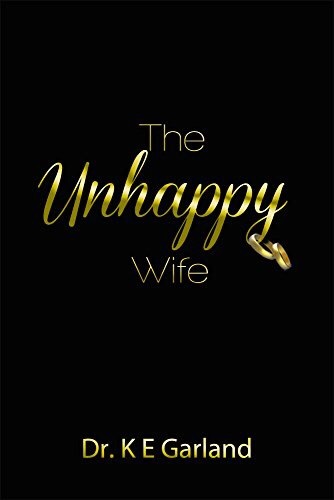 I was lucky enough to received an ARC of The Unhappy Wife by K. E. Garland. So, I’m just going to jump right into it. Twelve women share one thing in common – the quest for being happily married to the men they chose; however, each one finds herself in an unexpected marital predicament. Inspired by real events and told from each woman’s perspective, these short stories are firsthand accounts detailing the realities of marriage well after each woman said, “I do.”. < Previous Happy Halloween and Good Luck w/NaNoWriMo! *spoiler Alert* lady g do not read. I gotta put those disclaimers. I enjoyed that book. I loved Sharlene’s story. She was my favorite character because of the longevity and wisdom she shared. There were a lot of what ifs and hypotheticals (just like in life) . Just placed my order for paperback on your website, Kathy! Woot! Woot! Woot! Thanks Kim! I appreciate your support girl! I’ll start talking about the book in detail after the new year probably. 5 out of 5! Yay! I appreciate you spreading the word! I really enjoyed the book!